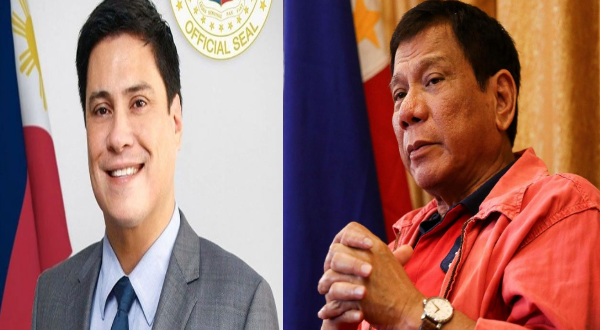 Senator Juan Miguel Zubiri said that he is surprised by how much of the achievements of President Rodrigo Duterte has remained unknown to his constituents, especially in Mindanao. The senator said that a lot of the people in his hometown in Bukidnon are not familiar with the new services that are available to the citizens brought about by Duterte. One example is how the people were not aware that they can be treated in hospitals without a deposit and that medications in provincial, district and regional hospitals are free. Free tertiary education is also not known to the citizens, as well as the act that enables free irrigation for farmers to be signed next week. He said that what is sad is the fact that the bad news are the ones reaching the media while the good news remain untold. The senator then appealed to Presidential Communications Operations Office and Presidential Secretary Martin Andanar to actively spread the good news of the chief executive's achievements. "We appeal to the PCOO and Secretary Andanar to promote the good news. Kasi parati na lang bad news and nakikita ng ating kababayan, syempre nafufrustrate sila." He said that this will help the President's approval ratings.